According to a recent report by Bloomberg, American negotiators are advocating to remove Mexican long-haul trucks from the NAFTA Chapter on cross-border services. Under the current NAFTA agreement, the U.S. has long been restricting trade over the Mexican border. The 1994 protocol provision opened up the United States to Mexican long-haul truck transportation, which was subsequently delayed through the resistance of trucking and environmental lobbyists, essentially restricting Mexican trucks to operating only in U.S. border regions. Then came two attempts at pilot programs that allowed Mexican trucks to operate throughout the U.S. After funding for the first attempt was pulled, Mexico quickly retaliated with import tariffs on 90 different U.S. products that the U.S. Chamber of Commerce said was affecting $1.5 billion worth of U.S. manufactured products and $900 million of U.S. agricultural products while putting 25,000 U.S. jobs at risk. 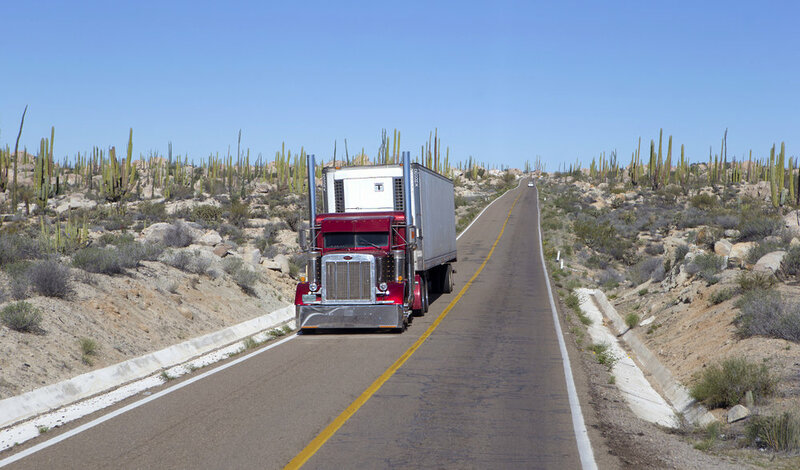 It wasn’t until 2015 that the U.S. Department of Transportation opened the door to the Mexican trucking industry. “Opening the door to a safe cross-border trucking system with Mexico is a major step forward in strengthening our relationship with the nation’s third-largest trading partner, and in meeting our obligations under NAFTA,” said then-Transportation Secretary Anthony Foxx. The NAFTA negotiations have been anything but smooth, with the truck flap the latest issue. The U.S. has proposed scrapping a dispute mechanism essential to Canada. Chapter 19 of the NAFTA agreement outlines the dispute settlement mechanism. Cross-country panels hear complaints and issue binding decisions on illegal subsidies and dumping. The United States has frequently lost such cases. The Prime Minister of Canada, Justin Trudeau, recently spoke to Reuters and said that a fair dispute resolution system is essential for any trade pact that the country signs, including a renegotiated NAFTA. Some argue the attempt to scale back regulation that might benefit the U.S. is not surprising. Given that the U.S. has a $55.6 billion trade deficit with Mexico, as of 2016, and a shortfall of $12.1 billion with Canada. The American Trucking Association issued a statement in October, advocating support for NAFTA. Similarly, The Canadian Trucking Alliance (CTA), ATA and Cámara Nacional del Autotransporte de Carga (CANACAR) issued a joint statement in support of NAFTA. On the other side of the coin, The International Brotherhood of Teamsters, have defended the actions of the Trump administration. “The USTR approach is a creative solution to this long-standing controversy. Without getting into the details of the proposed text, I am satisfied that the U.S. position will permit Congress and the Dept. of Transportation to safeguard the livelihoods of American truck drivers and the personal safety of American families on U.S. highways under NAFTA 2.0,” said James Hoffa, Teamsters president. The U.S. rift with its NAFTA partners is no new phenomenon, and given the track record will take many years to resolve. NAFTA has been the catalyst in reducing the transaction costs between countries. NAFTA merchandise trade accounted for $1.069 trillion in 2016, according to the U.S. Department of Transportation.